LeadingAge membership provides an exclusive range of benefits that give you the tools, resources, business intelligence, and collaboration to help your organization thrive. 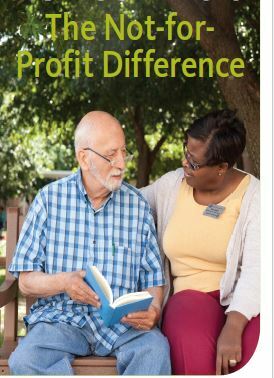 Thriving not-for-profit aging services organizations are characterized by strong leadership, mission-driven business practices, a quality workforce and innovative care delivery models. As leaders in their communities, these organizations are guardians of values, cultivators of volunteerism and stewards of the public interest. LeadingAge Thrive provides an essential framework and resources to help organizations achieve a successful future in meeting the needs of the people and communities they serve. The Thrive framework focuses on Community Involvement and Engagement, Governance, Philanthropy, Quality, Strategic Partnerships, Strategic Planning and Workforce and Leadership Development. Click below to access website. We are committed to helping members strengthen their governance practices to affirm public confidence in our missions and help you preserve your tax-exempt status and tax-deductible contribution benefit for donors. Click below to access brochure. In this era of major changes affecting the health care and long-term care delivery systems, nonprofit aging-services organizations are being challenged as never before to govern at the highest level. To help you navigate these changing times, LeadingAge developed the LeadingAge Board Self-Assessment Tool. This is an essential instrument for boards of directors/trustees to use to ask themselves how well they are prepared to meet today's and tomorrow's challenges.